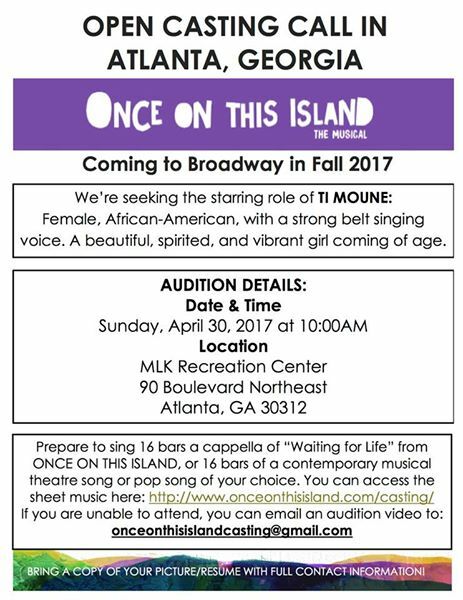 Open call in Atlanta for the role of TI MOUNE in Once on This Island, The Musical on Broadway. A new musical is hitting the Broadway stage later this year and casting directors are on a nationwide talent search to discover new talent to fill the lead role of Ti Moune. The talent search has been in progress for the last few weeks and auditions are heading to Los Angeles, New Orleans, Atlanta and New York City. This is an amazing opportunity for an unknown actress / singer to become a star on Broadway. 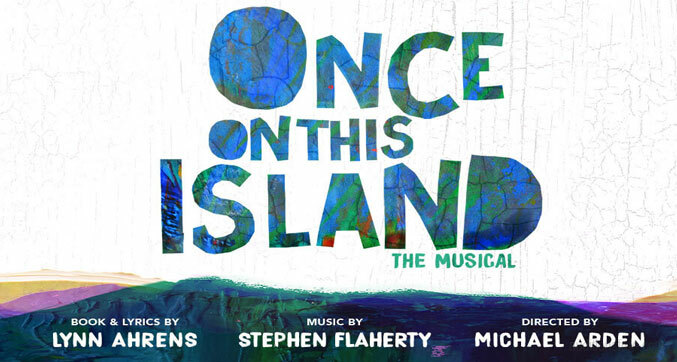 The casting team behind the new musical is conducting an unprecedented international casting search for the role of Ti Moune in ONCE ON THIS ISLAND, coming to Broadway November 9th, 2017. The Atlanta open call information is listed below and you can find all the audition information for the new show here. Come and gather around for ONCE ON THIS ISLAND—a triumph of the timeless power of theater to bring us together, move our hearts, and help us conquer life’s storms. This is why we tell the story. Prepare to sing 16 bars a cappella (without accompaniment) of “Waiting for Life” from Once on this Island, OR 16 bars from a contemporary musical theatre song or pop song of your choice. To download the sheet music for “Waiting for Life,” click here. Initially, we will want to hear your 16 bars a capella. In the event that we ask to see additional material with our accompanist, please bring sheet music. Please also bring a headshot (or snapshot) and a résumé stapled together.